For those who doesn’t know I have a home local server based in a Macmnini i5 2011 model. Enough for what I do and what I’m doing thanks that it’s a Unix like OS with an Apache/PHP server where you can add python, npm or whatever you like (like an MySQL database or a MongoDB one). Its my production eviroment for my test (yes, it is). Unfortunately, Macs and Spanish summer doesn’t match and more if there’s a heat wave (that it’s now in Spain). Mac are not very well made for endure a lot of heat because they dissipate the heat very badly. They are true beautiful but they are a bad server (yes, I know…). So these days maybe you can take care that this web (and others) doesn’t work properly. Sometimes are up an others are down and it’s because heat. 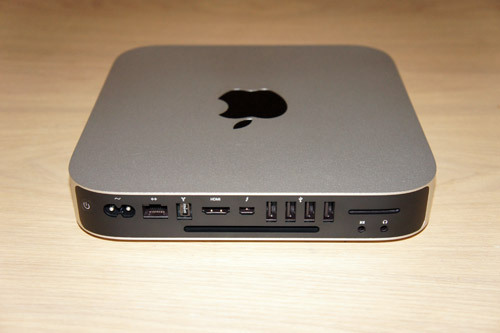 Today, my Macmini has says that it doesn’t want to work anymore. One RAM module has broken thanks the hot day was yesterday. So, for now, it’s working with the half of the usual memory. But thanks my old knowledge about Apple machinery still works. Then, as a resume, remember this: Apple & summer doesn’t work well.